When Bea was younger, she was such a joy to feed because she would eat everything we gave her. Travelling to Singapore, Malaysia, Thailand and Vietnam was no trouble at all because we didn’t need to lug around bottles and formula, and she ate everything we ate. Shortly after she turned a year old, however, Bea suddenly became the pickiest eater. Pasta without sauce, meat and rice, no soup, and certainly no vegetables. She will turn her nose up at anything she doesn’t recognize. I used to be able to hide little pieces of veg under the rice and meat in her spoon but eventually she could taste the difference. There are some fruits she will eat, but she won’t have them every day. 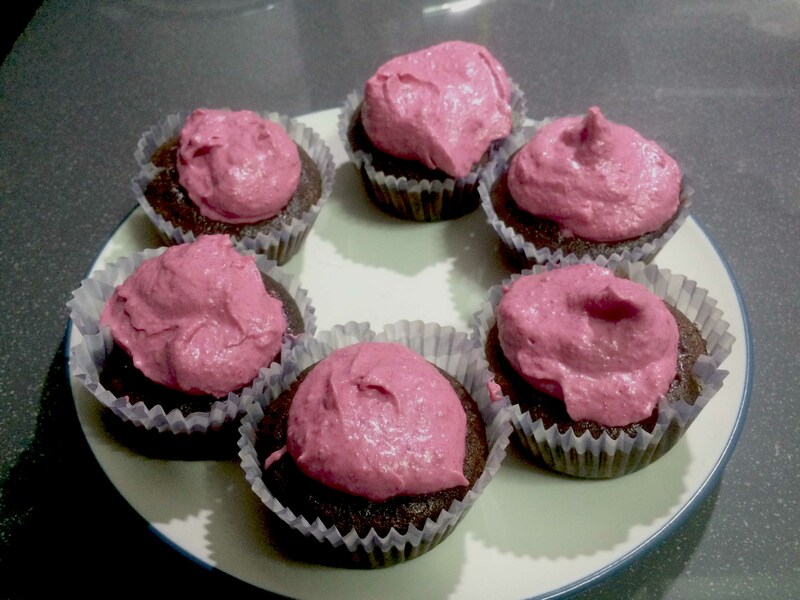 I was flipping through my Weelicious cookbook and there was a recipe for Chocolate Velvet Cupcakes with a secret ingredient: beets. Aha! I could get Bea to eat her vegetables after all! So I made them one weekend and even made the cream cheese frosting pink, thinking that the color would entice her to eat a cupcake. Boy, was I ever wrong! As soon as I presented her with a cupcake, she said, “But I don’t like pink icing!” What a letdown. There goes that idea. She did eat a couple though, with only sprinkles and no icing. I shared some with my in-laws, and told my father-in-law that they had beets in them. When I told Julio, he said that his dad HATES beets. He refuses to have them in russian salad. The next morning, my mother-in-law came over and asked if it was strawberry icing. I had to confess they were beets, but I’m glad she couldn’t taste them! Turns out, my father-in-law liked them because they were not too sweet. Julio asked him, “You know what the secret ingredient is?” and he answered, “Strawberries?” Either he didn’t hear what I said when I put the plate of cupcakes the table, or he wasn’t listening. My mother-in-law gave me looks across the table, warning me not to admit that they were definitely not strawberries. Oh well, at least the cupcakes were a hit with someone!